Cross royal ribbon with a fuzzy, chenille edge. 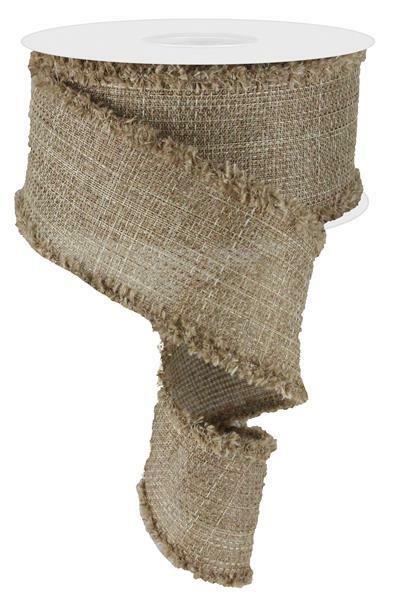 This wired ribbon holds it’s shape beautifully and the unique color makes it a more upscale alternative to darker burlap. Measures 2.5″ x 10 yards per roll.